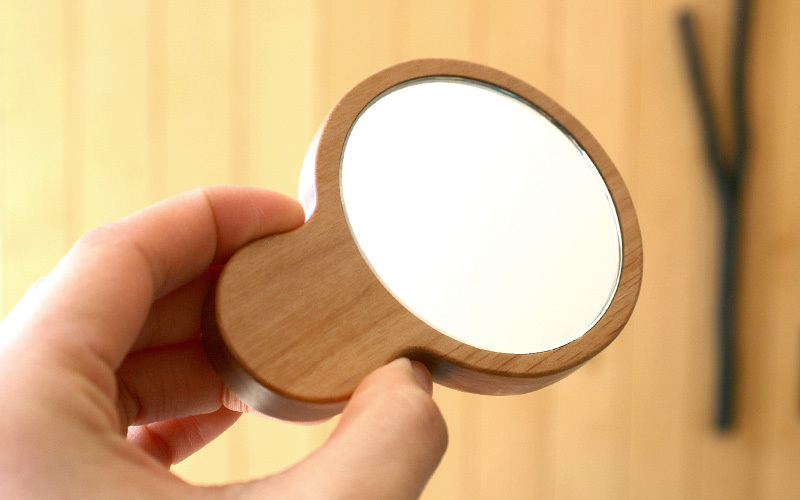 You can't hold this compact mirror without realizing soft texture of wood on your palm. 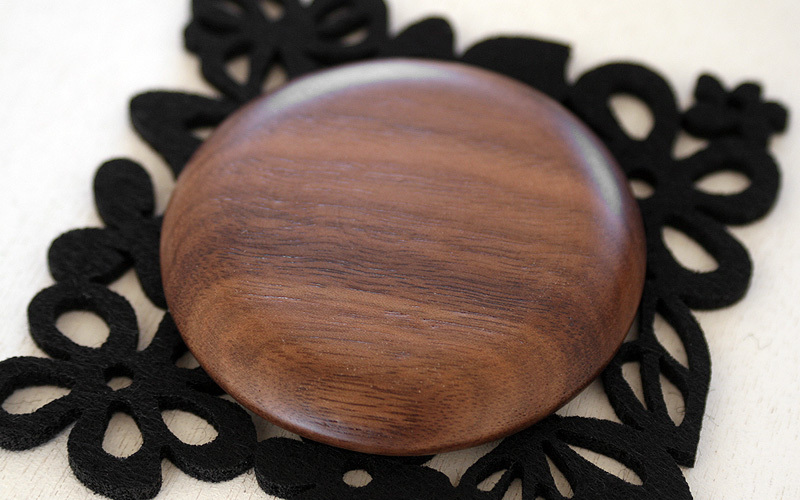 This round form carefully polished by the hand of craftsman results in a comforting touch. 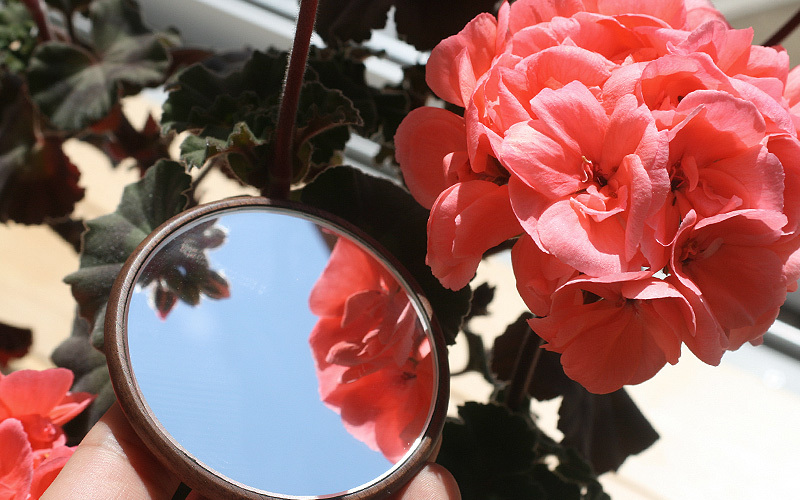 It is small enough to carry with you in your cosmetic pouch. Available in 2 types, with or without handle element.